The former Environment Agency chief Lord Smith says he is “hugely skeptical” about the future of fracking in the UK. He claims it’s unclear whether the process could be used to extract shale oil in the south of England. On Wednesday the independent fracking taskforce suggested a single regulator should be put in place to govern all of the UK’s inland gas and oil extraction. 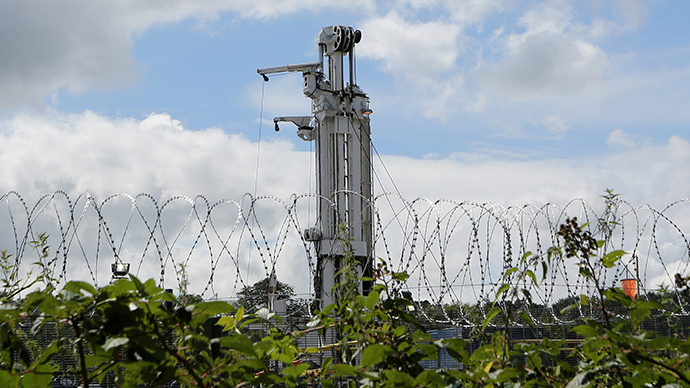 The British Geological Survey has confirmed the presence of shale gas in the north of England and Scotland. In the south, however, much of the accessible resources are in the form of oil. Smith advocated a new regulator which would oversee the extraction of oil and gas from both fracking and conventional methods. He said it would solve the issue of the current, fragmented, regulatory system, within which responsibility is shared between the Environment Agency, the Department of Energy and Climate Change, the Health and Safety Executive and smaller local authorities. It would take two years to set up a universal regulating body, Smith estimated. Research from the taskforce on shale gas found that of all the potential problems associated with fracking, noise from trucks and extra traffic on roads was the biggest cause of concern for local residents. A report released on Wednesday found that fracking companies had not fully explained to residents the extent of their actions, and said the public had the right to high standards of regulation. “The current regulatory oversight for any potential shale gas industry at a national level does not command the public confidence that is necessary,” the taskforce concluded. “Public consultation over proposed shale gas exploration and development sites has not been wholly effective and the systems put in place for public consultation are not seen by communities as serving the interests of the public. Lord Smith’s skepticism comes weeks after a group of Oxford students occupied a campus building in protest over the deferral of a decision to divest shares in fracking companies. Fifteen students carrying banners took over the Clarendon Building. Former University of Oxford Finance Director John Clements threw in his lot with the protestors.